I’ve been living out of my suitcase for a little over a year now. There have been moments where I’ve stayed in one place for a month or two and other times I moved around a few times a week, but December was a whole new adventure. In 15 days I visited numerous places I never imagined visiting while exploring Morocco. Arriving in Marrakech we were greeted by the family of one of Vincent’s colleagues, Zaihra. We stayed with them for a few days and learned that Moroccan people are some of the friendliest in the world. They are extremely hospitable, curious about your travels and where you come from. Staying with a family is the best way to see Marrakech and experience Moroccan culture. Not only were we able to taste homemade Moroccan cuisine, we were also accompanied throughout the city by Zaihra’s nephew and niece. Seeing a city through the eyes of two people who live there, and love it, makes visiting a new city even more exciting. 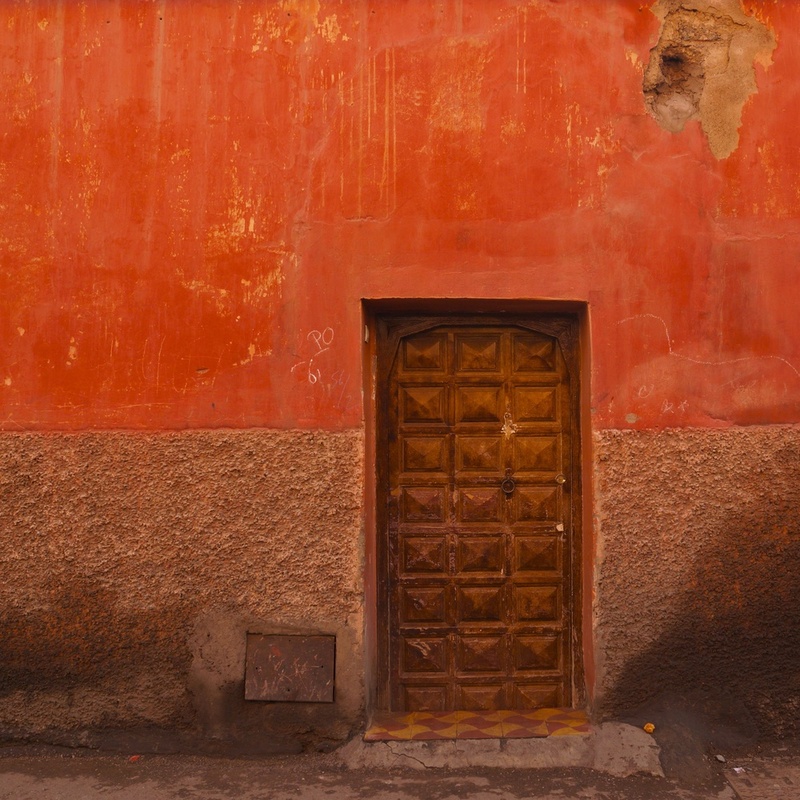 Marrakech was nicknamed the “Red City” because many of the older buildings and walls throughout the medina were constructed in red sandstone. We wandered through the narrow passageways between the red walls and visited Place Jemaa el-Fnaa (the busiest plaza in Africa) both day and night. 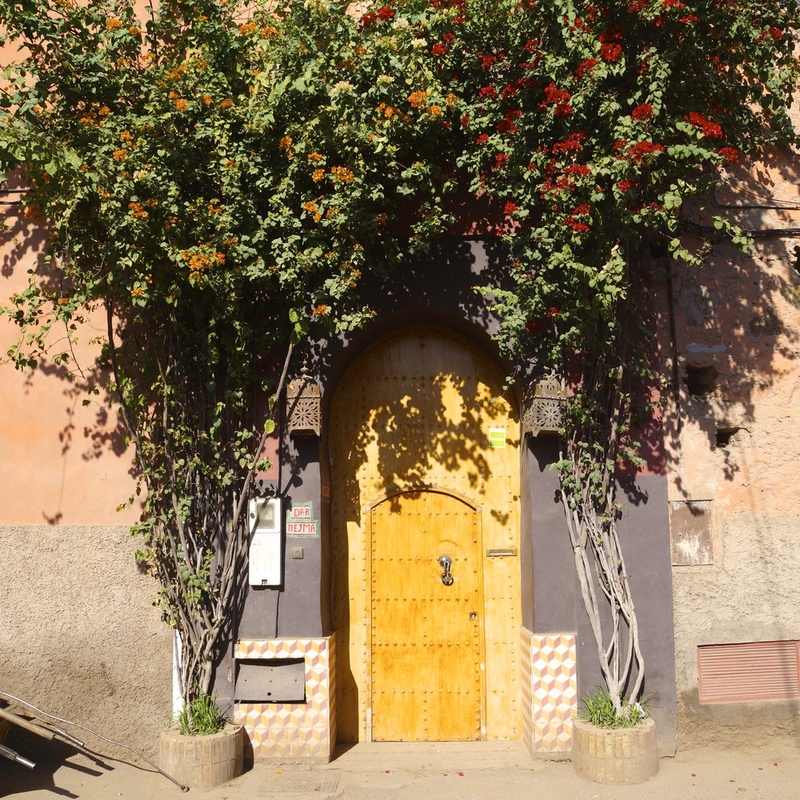 We explored the El Badi Palace (built in 1578), visited the stunning Majorelle Garden, and spent hours wandering through the old medina where spices, soaps, plates, and carpets are piled high and vendors are sure to try to sell you something. Marrakech is undeniably busy – the roads are filled with taxis, camels, horse-drawn carriages, motorbikes and donkeys with trailers. When looking at the narrow streets of the medina for the first time I never imagined donkeys pulling trailers and motorbikes would pass through, but they do – and quickly at that! Orange trees are everywhere in Marrakech – you can find a large glass of fresh squeezed orange juice anywhere in the city, the best was at Place Jemaa el-Fnaa. In the evening the plaza comes alive with music, and food stalls where you watch your meal being cooked. 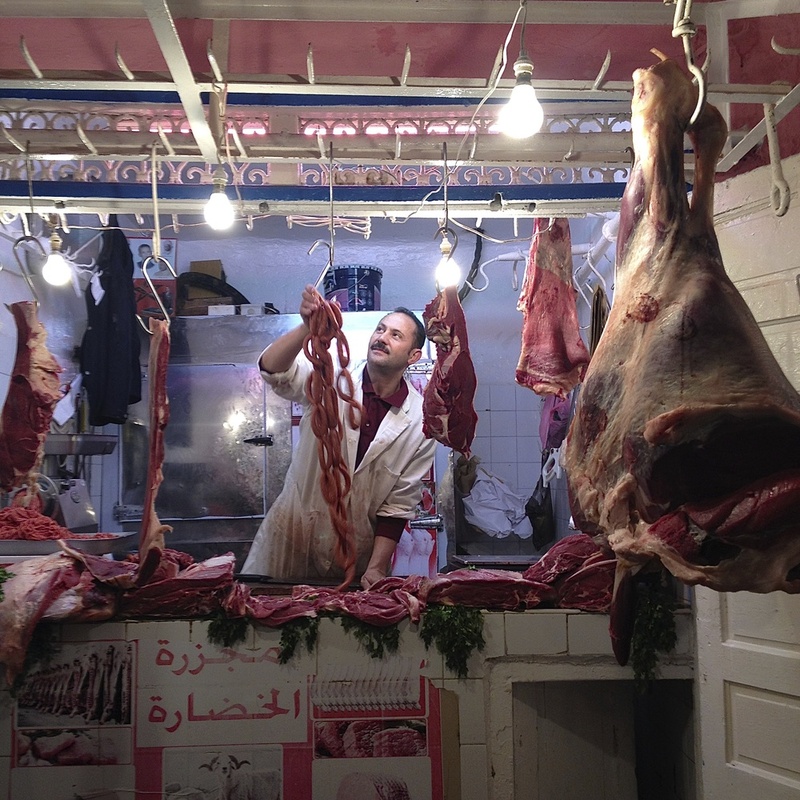 Although I loved all of the food we tasted in Marrakech, I found myself missing a fork sometimes. Silverware isn’t used in Morocco; instead they use Moroccan bread as their utensils. Just when you think you can’t eat any more bread because it’s your fork for lunch and dinner, you have tea and bread served with olive oil and fresh honey on the side. I have to admit I turned my nose at the idea at first, but it was worth every bite. The olive oil is rich with flavor, stronger than any olive oil I’ve ever tasted and the bread was fresh out of the oven. 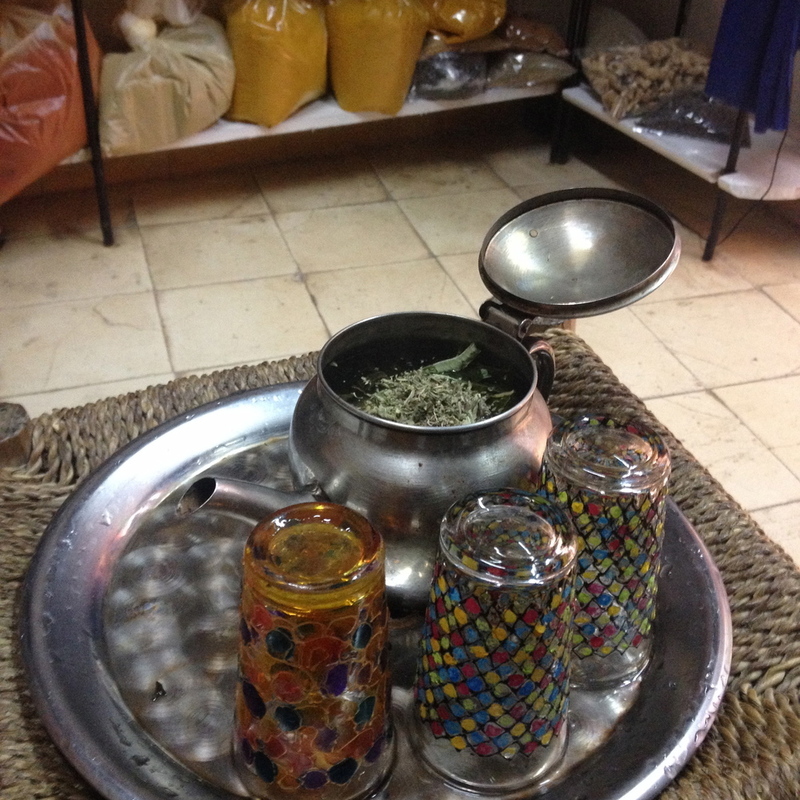 Drinking tea in Morocco isn’t about drinking something hot, it’s an old and sacred Berber tradition that demonstrates respect and hospitality; it’s a way people socialize. After a few days in Marrakech we decided to explore the Sahara Desert for a few days. The only trouble was the main roads that the buses take were closed due to recent flooding in many areas of Morocco. We found a company that was still offering excursions to Merzouga (in the Sahara Desert) by taking a detour, so we decided to give it a go! The detour was long, but the landscape was stunning. We drove through the Atlas Mountains, the Gorges of Todgha (a canyon in the eastern part of the Atlas Mountains), small villages lying on riverbanks, and finally the sand dunes of Merzouga. We spent the first night of the excursion at a hotel on lying on the side of a cliff near the Gorges of Todgha, shared tajine with fellow travelers and turned in early to wake up and explore the area before getting back in the minibus. 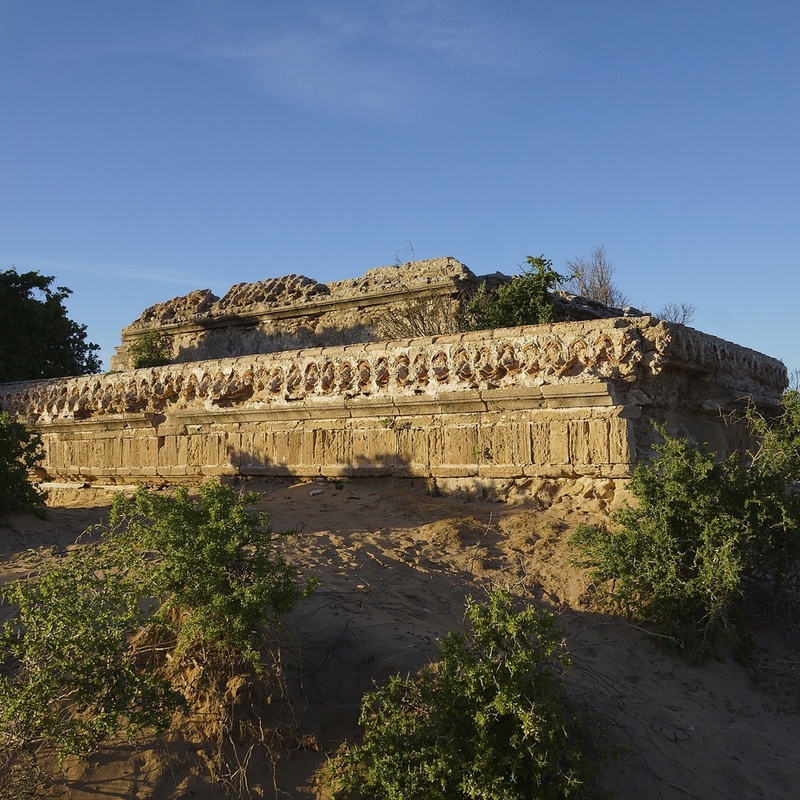 The second day on the road, we stopped in a small village in the Gorges of Todgha that is inhabited by semi-nomadic people, meaning they spend the winters in the village and the summers elsewhere. We learned about how they make carpets, drank tea, wandered through the old passageways, and finally admired the magnificent gorges. Since I can remember, I’ve seen beautiful pictures of the Sahara Desert in travel magazines, but seeing the sand dunes with my own two eyes was breathtaking. We road camels for an hour and a half before reaching the campsite. The ride was a little bumpy, but it was beautiful watching the colors change as the sun set behind the dunes. Our campsite was at the base of the largest sand dune in the Moroccan area of the Sahara desert. Less than 30 miles from the Algerian border, there was control wandering through the dunes at night, which took me by surprise when we ran into each other. While climbing the sand dunes I felt like a kid in a very large sandbox. When the sand slipped out from under my feet and began sliding down the steep slope I was terrified I'd slide right down with it. Scared as I was, I'd climb the dunes again in a heartbeat – it was definitely worth the adrenaline rush! We woke up for sunrise, had a Moroccan breakfast, rode the camels back to where the mini-bus was waiting for us and were on the road again. There were at least 100 moments when I wished I could jump out of the minibus for an hour or two to explore the dozens of cities we passed through. Because of the detour we only had a half hour to spend in Ouarzazate, a city known for its film-making (part of Game of Thrones was shot here, if that rings any bells)! We arrived back in Marrakech late in the evening; when we woke up plans for the family we were staying with had changed and they needed to leave the city, so we packed up our bags and headed to the bus station for another adventure. A few other travelers in the Sahara had told us about how much they enjoyed Essaouira and a wonderful riad they had stayed at, so we decided to give it a go. 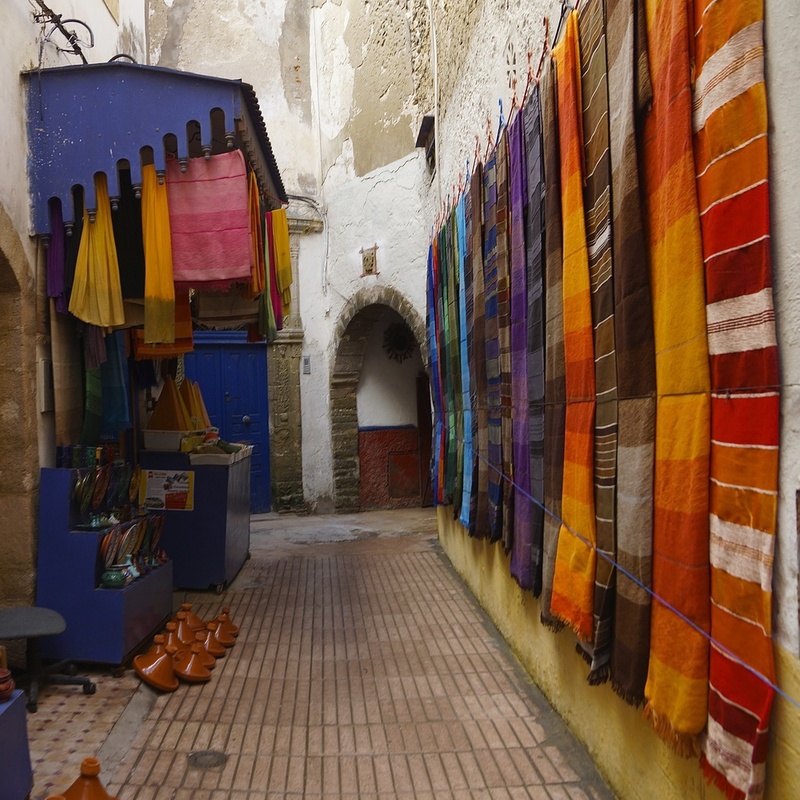 Essaouira is city located on the Atlantic Coast. It’s full of culture; art galleries are all over and the Gnaoua Festival of World Music is held there every spring. It’s a city known throughout Morocco for kite surfing and windsurfing and surfing beaches are no more than 10 km away. 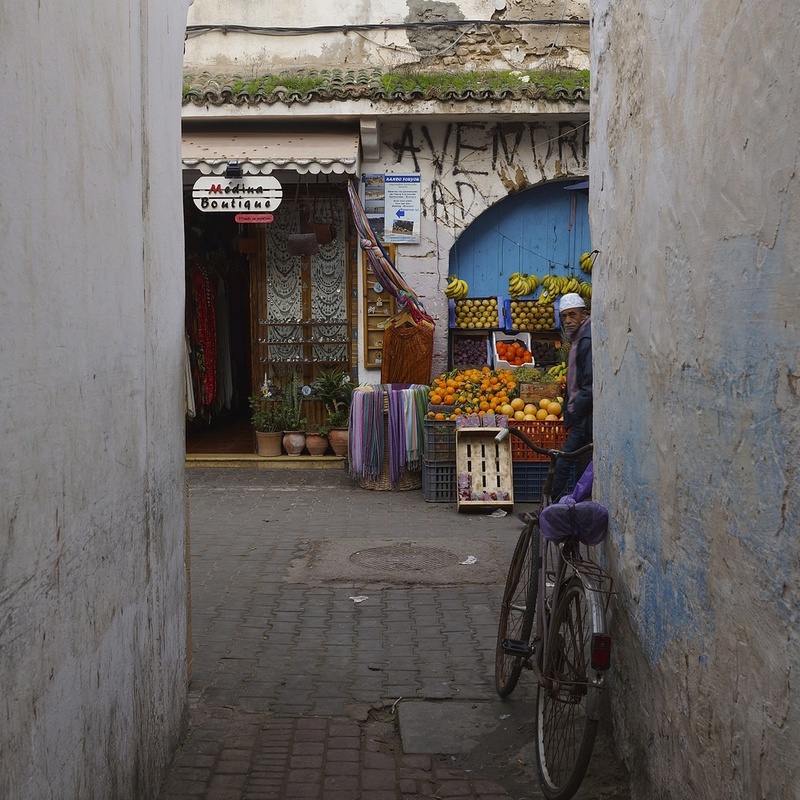 There is always a relaxed mood in Essaouira; maybe it’s because it’s next to the beach or maybe because it’s a smaller town, but after spending nearly a week in the busy streets of Marrakech and trekking through the Sahara, it was a breath of fresh air to spend a few days in Essaouira. Eating made for an everyday adventure. We tried breakfast at a few different places, but the best spot we found was a stand on one of the streets in the old medina. An older woman made msemmen (Moroccan crepes) every morning, filled with jam or honey… they were simple, but delicious. The market was packed during the evening and buying groceries was always fun, especially since I bought a beautiful basket to shop with :). 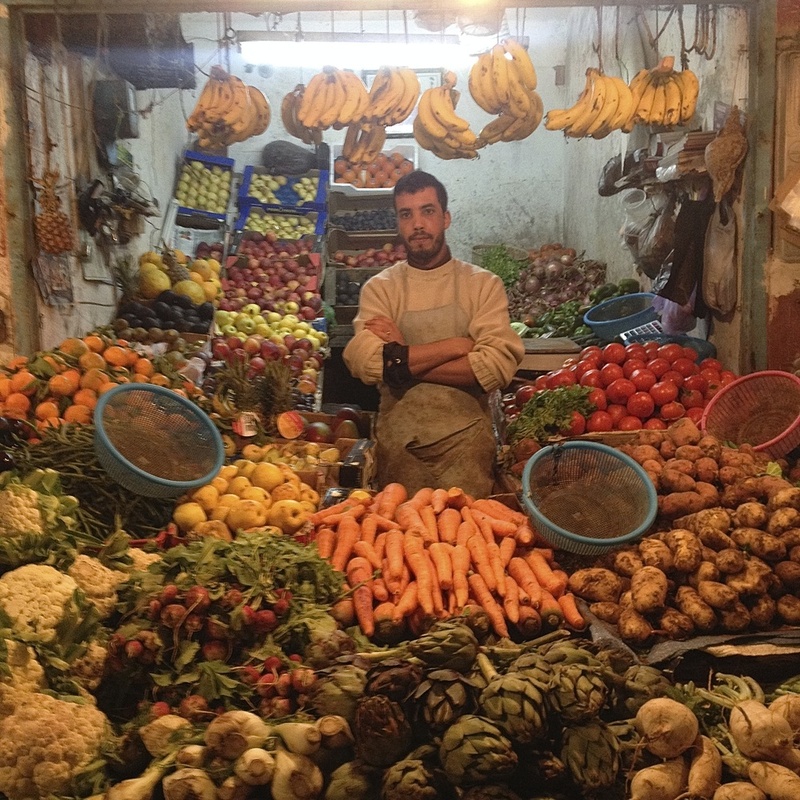 Fish, meat, fresh fruits, veggies, olives, and Moroccan bread were plentiful. It's strawberry season in Morocco now, so a large package of strawberries every night (for less than one dollar) was a must. 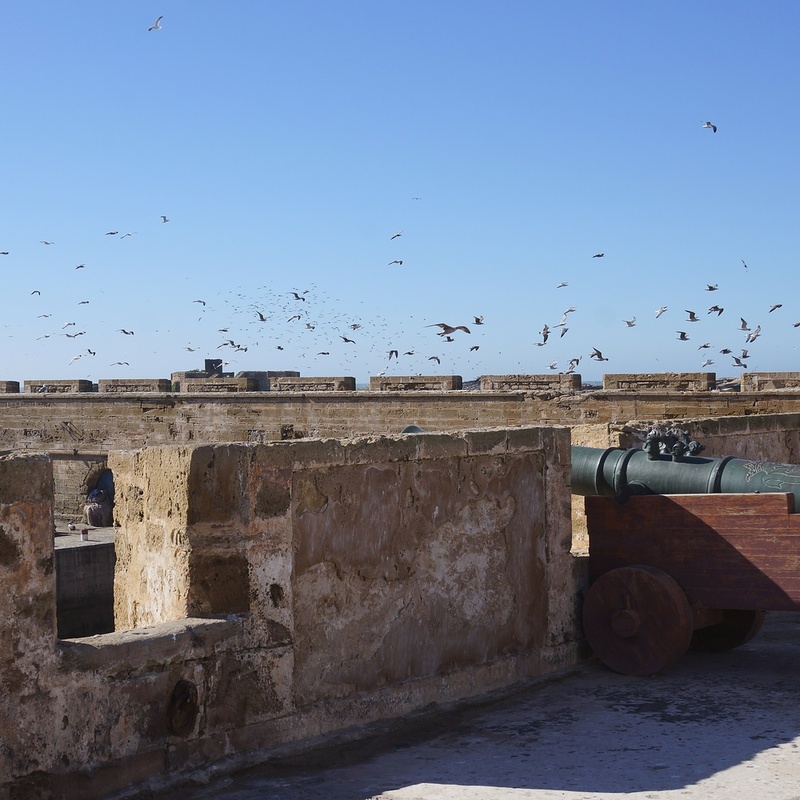 Although we originally planned to stay in Essaouira for three days, we ended up staying for one week because we liked it so much! 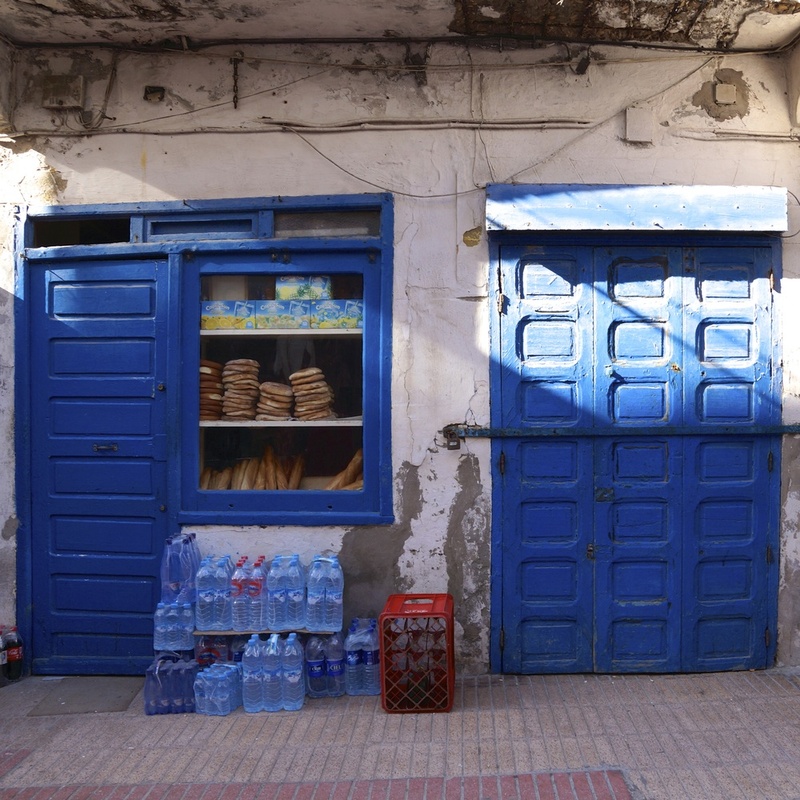 One of the first days we spent in Essaouira, a shop owner who invited us into his store. He didn’t push for us to buy anything, unlike so many other shop owners, and instead he made conversation, served tea, and even gave us a small gift before leaving. When it was time to do a little shopping, we went back to his shop and bought spices galore – cinnamon, cumin, paprika, saffron, and more. I picked out a few tea mixes, small hand painted bowls, argan oil, and my favorite – solid perfume. It was truly enjoyable picking out spices and perfumes. I took my time (I’m not always great at making quick decisions), smelled everything three or four times, and when it came time to deciding which little bowls I wanted to bring home, I played Eeny, meeny, miny, moe, because there was no other practical way to decide (they were all beautiful)! 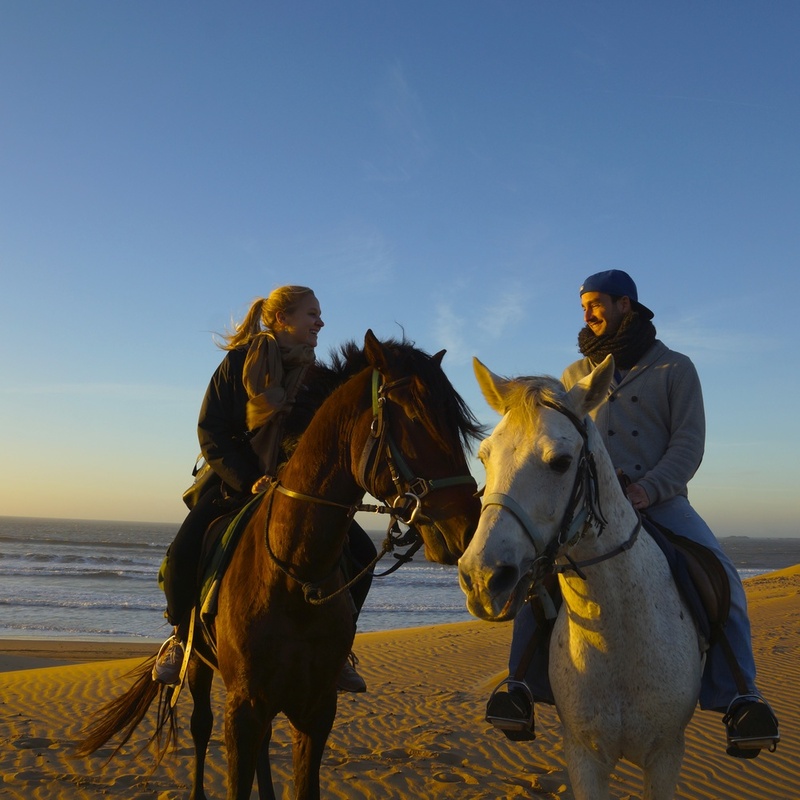 A few other highlights from Essaouira include horseback riding on the beach and visiting the ancient ruins, the sand dunes, and forest. One afternoon we were approached by a gentleman who asked if we spoke English and French. The answer was obvious, so within minutes we were sitting in another small shop helping translate a letter. It was first dictated in Arabic, then French, and finally I wrote it in English. For the next few days whenever we were in the market, near the shop, we were recognized as “the people who helped write the letter!" Taking time to get to know some of the locals and seeing how important people are to one another made unforgettable memories. 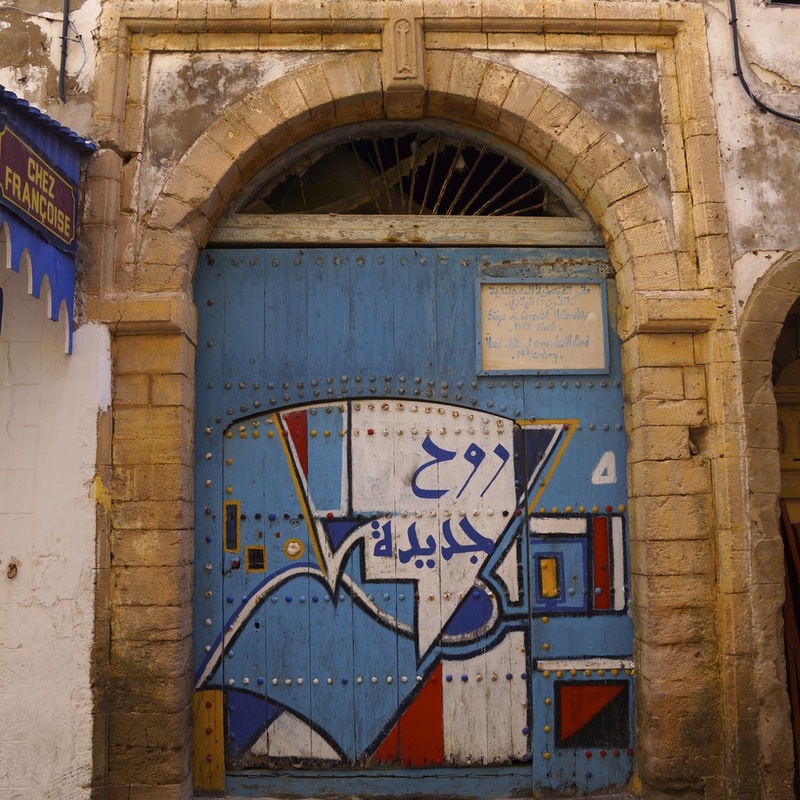 Essaouira is known for beautiful (blue) doors and there were a few abandoned ones that I couldn't help but peaking behind. Cats are in the streets all over Morocco, however in Essaouira everyone treats the cats as if they were their pets. The city vaccinates them, everyone feeds them by leaving leftovers in front of their doors, and the cats will jump onto your lap if you're sitting on a patio. If you want to feed the cats, you're going to have to do a bit better than giving them some bread. 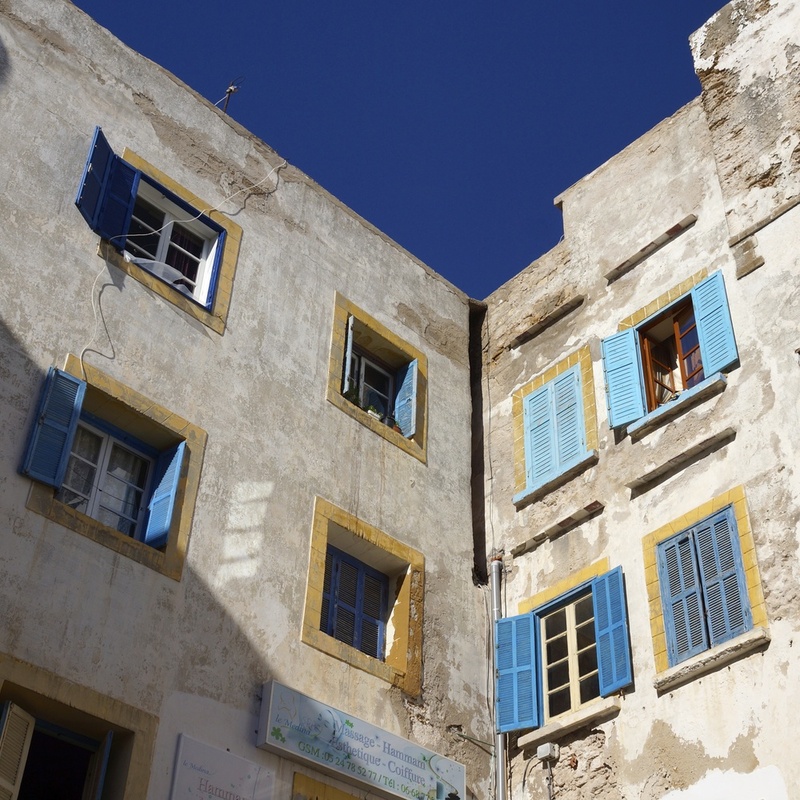 The cats of Essaouira are chic - they eat fish at the port, tajine in the medina, and couscous every Friday (of course)! We headed back to Marrakech for one night since our flight was taking off there and once again, the time came to pack up my suitcase(s). I trekked through the medina to get to the Place Jemaa el-Fnaa, to take a taxi to the airport, wheeling one bag and carrying my mom’s old backpack. In 1979 she traveled the world with the pack on her back – there might be a few holes in it now, but the hundreds of stories it carries haven’t fallen out! Thank you for the memories, Morocco!